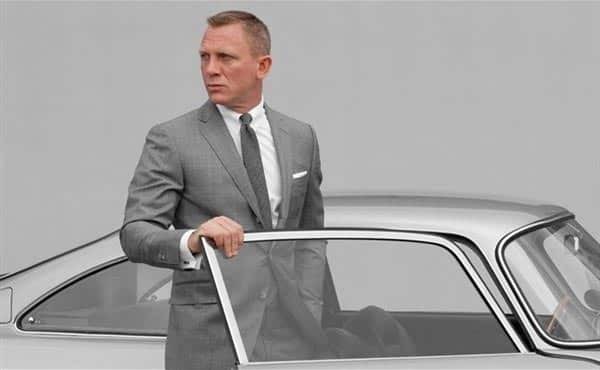 As James Bond fans, the dark winter grey skies of Scotland seen in the SkyFall film popularized grey suits for men of all ages. Previously we had some clients with greying hair — even salt and pepper beards — shy away from the color. However these distinguished silver foxes look most handsome in custom made suits. We may not be waiting for snow to melt, but we’re ready for spring… yet holding onto this grey suit trend. The color symbolizes power. It’s particularly effective during business meetings and negotiations. If you feel the same way, we’re share these 3 simple suggestions with you. 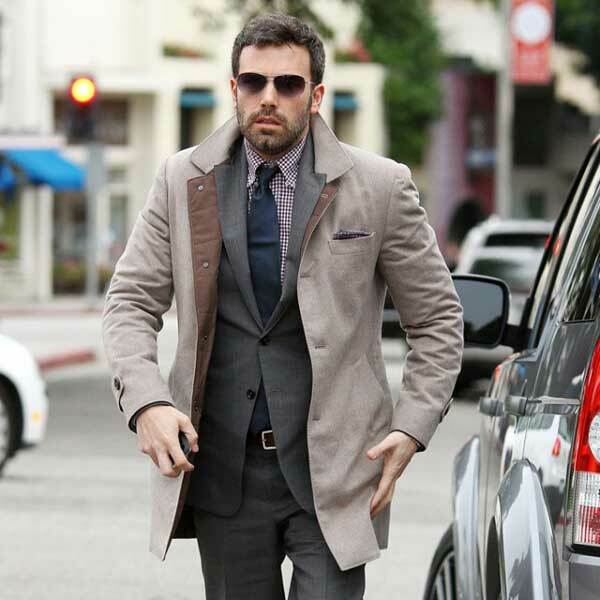 Once you arrive at the office, shed your overcoat. Your 2-piece or 3-piece suit will keep you warm, stylish and ever confident to collaborate with clients or colleagues. Don’t be afraid to mix colors like this brown coat and grey suit. The blend’s a nice reminder of brisk autumn days turning into winter at Thanksgiving. Blue and grey look smart together too. As noted, your bespoke grey suit can be a go-to for appointments. (Reserve that Darth Vader black power suit for the toughest business battles.) Soften your tone for a networking event or social occasion by adding color via a shirt, tie or bowtie, or vest. From January through early March, a navy necktie and a burgundy checkered shirt make a bold statement. In the spring, grey pairs well with pastels like light blue, lavender, even pink for a Mothers’ Day brunch… setting a youthful tone, not yawn. We’ve rung in 2015. TheSFtailor.com site allows you to fully customize your vest. So why not choose colors or a pattern that complements your grey suit? It’s a new year, redefine your boundaries in personal style and professional success. Now is an opportune time to be bigger, brighter and bolder. Women who prefer grey suits can follow the same tips. Visit this page to begin personalizing your suit today. If you’re a woman who prefers a men’s cut coat, suit, or vest, email us with your request. We’ll be happy to respectfully fulfill your order. We’re prepared to help men and women — of any proportions — who deserve our personal attention and tailoring services. This entry was posted in bespoke coats, bespoke tailor, Custom Made Suits, Tailored Coats and tagged accessories, career, coats, confident, customized, jackets, james bond, shirts, suits, youthful on January 6, 2015 by admin.